Usher syndrome, the leading cause of combined deafness and blindness. 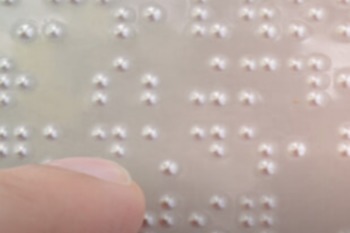 ProQR, a RNA-based medicines developer, is joining forces with the Foundation Fighting Blindness to make QR-421a, which targets blindness resulting from Usher Syndrome. QR-421a corrects the mutation that causes blindness. The FFB has awarded €6M to ProQR for research and development. If you are in need of assistance for vision loss, SDCB can help.